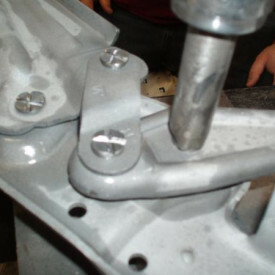 Over time, hinge pivot holes are worn egg-shaped or oval. 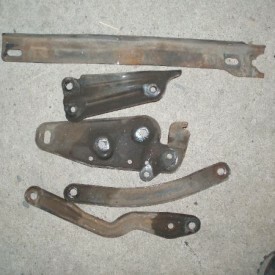 This makes the holes loose and misaligns the hinge framework causing binding. 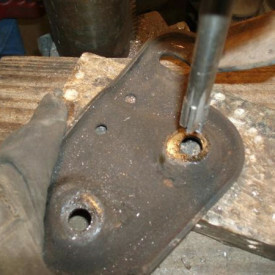 The only cure is to machine the holes back to round, straighten any bent framework and press in new rivets. 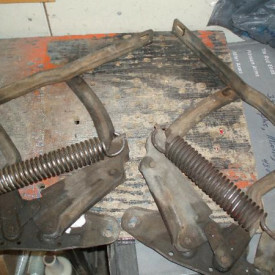 Despite what you've heard, new springs will NOT fix a set of worn hinges. Here’s where it gets to be a problem. You can’t find replacement rivets and if you could find NOS or replica they would not fit the new hole diameter due to boring out the old oval hole. 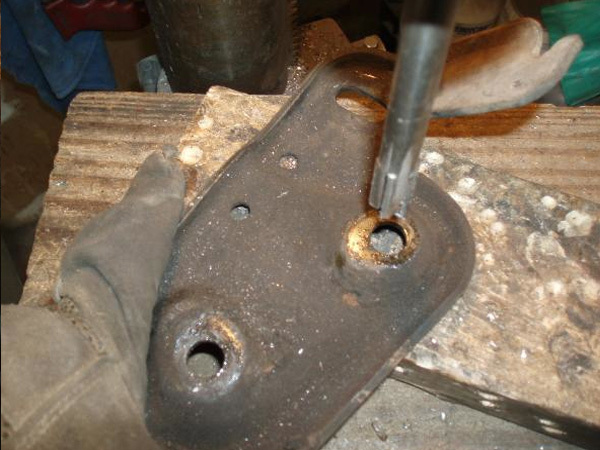 We machine all new high quality rivets to fit the new hole diameter within .0005 accuracy. 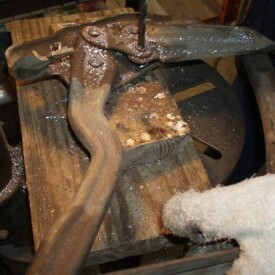 They are then pressed in with a tool designed by my father, providing better than reproduction tightness. 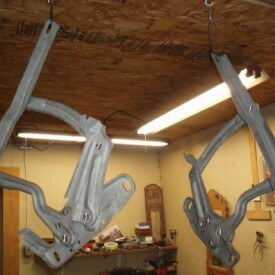 The hinges then go through final prep where they are degreased and either returned to you or refinished to your specs. 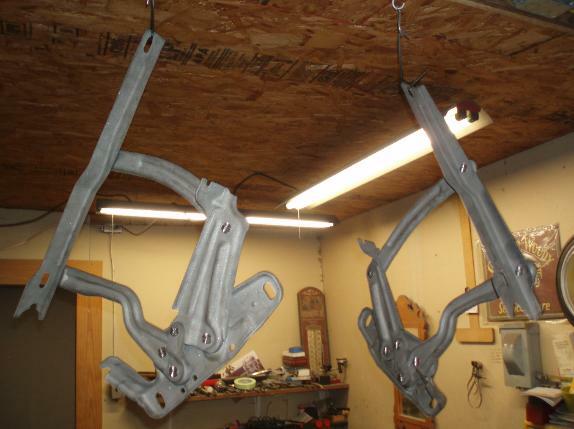 We offer quality Eastwood powder coating products as well as a variety of paint and primer finishes. See colors we stock. 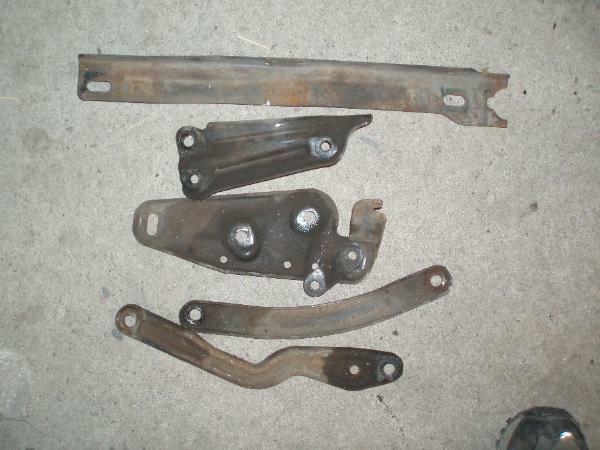 Worn set of ’73 Camaro hood hinges. 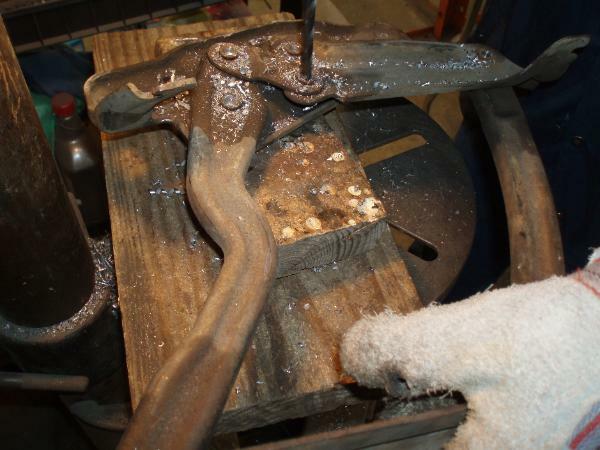 Drilling out the old worn rivets. Reaming out the oval holes to round again. Ready for hot tank and media blasting. 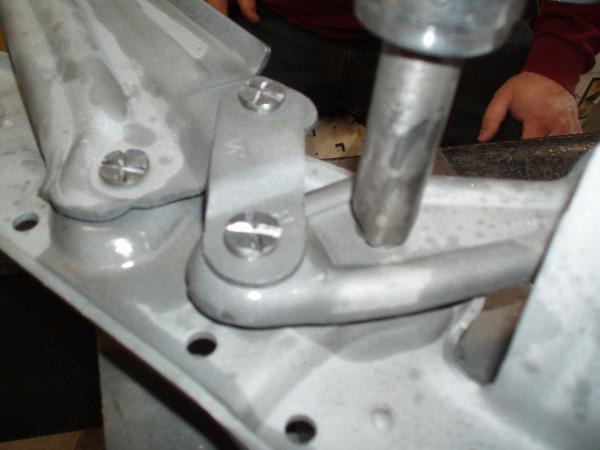 Pressing in all new custom made rivets. Complete and ready for refinishing. 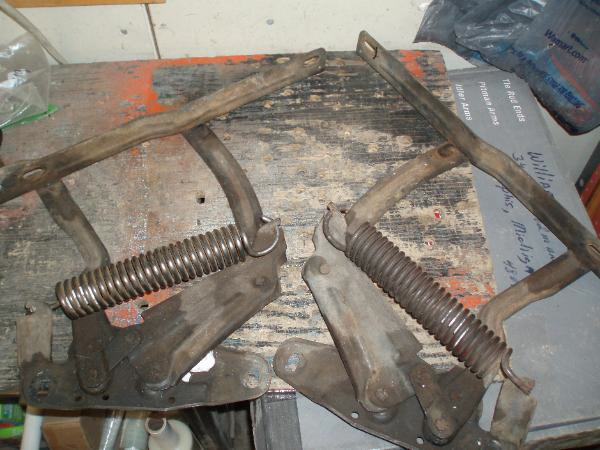 To inspect your hinges, remove the springs, clean the rivet area with a degreaser, and check for any side-play. You shouldn't have ANY play.